When you come to Guatemala, you will find numerous happy faces among some of the most friendly people in Latin America. 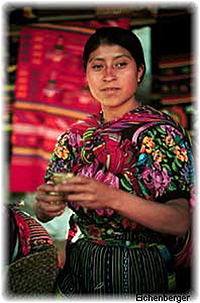 While most of the major races and religions are represented in Guatemala, a large percentage of the population consists of Mayan descendants. At the geographic heart of the American Continent, Guatemala is bordered by Mexico in the North, and El Salvador and Honduras to the South. The Atlantic and Pacific border Guatemala to the East and West. 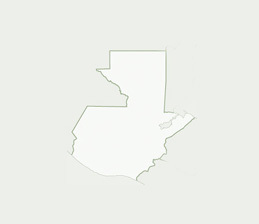 It's 68,056.25 square miles in area, making it bigger than the state of Virginia, or the combined countries of Denmark and Belgium. Guatemala is the most populated nation in Central America with over 11 million inhabitants. What makes Guatemala one of the most interesting countries to visit in Latin America is that it was the heart of the ancient Maya civilization.